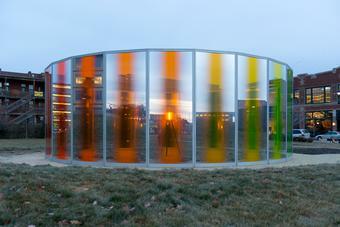 Panoramic awareness pavilion, 2013, was created for the John and Mary Pappajohn Sculpture Park in Des Moines, Iowa. 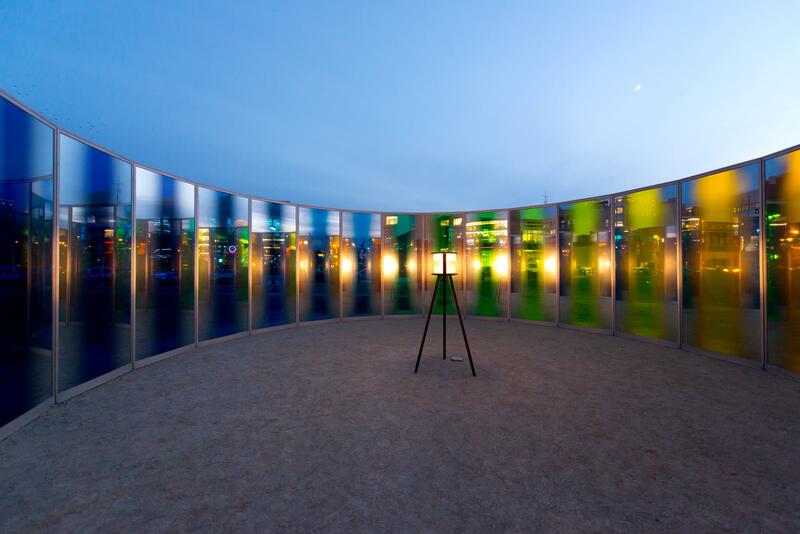 It is at once a large-scale light sculpture, which demands distance for proper appreciation, and a pavilion, which invites its audience to enter, explore, and engage with the work from within. 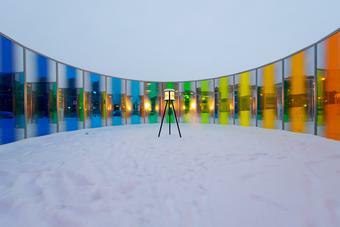 The work is composed of twenty-three panes of partially silvered coloured glass, held upright by steel frames and installed in a circle with an opening on the north side. 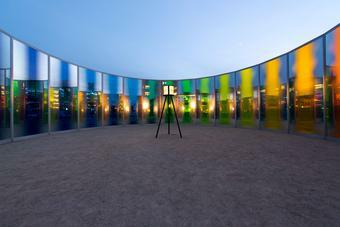 Each glass pane is treated with reflective coating so that the edges of the glass are opaque mirrors that fade to transparent coloured-glass strips at the centre. 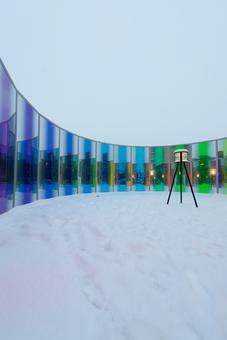 Viewed from the outside, the work presents a circular colour spectrum interrupted by fragmentary perspectives of the surrounding sculpture park. 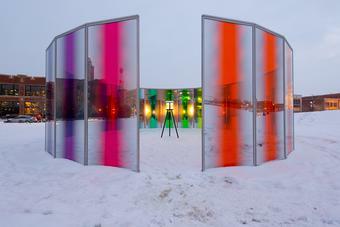 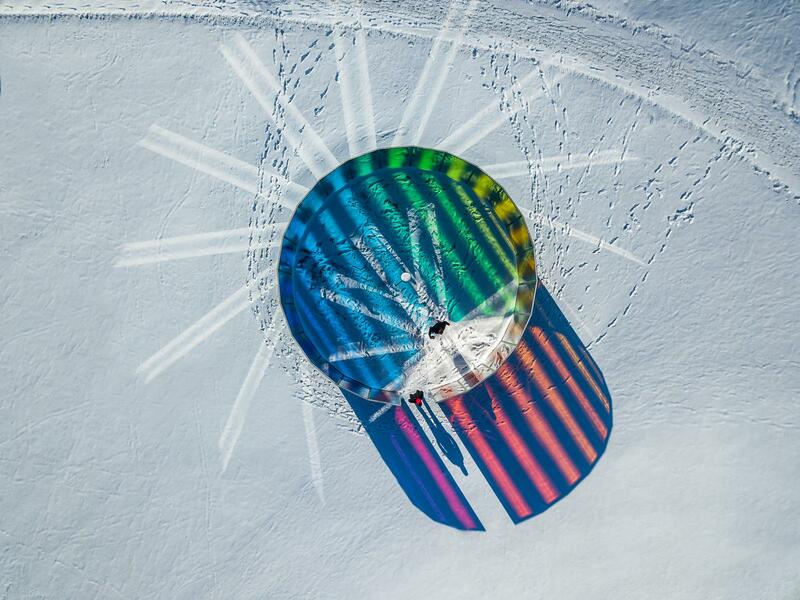 At night, a fresnel lamp mounted on a tripod at the centre of the sculpture illuminates the work from within, creating a kaleidoscopic rainbow effect and interacting with the city lights beyond.